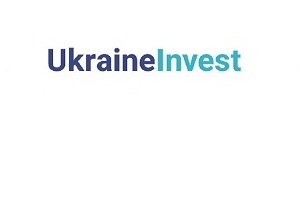 UKRAINEINVEST ISSUES THE BUSINESS WEEK, A FREE ON-LINE PUBLICATION CONTAINING A WEEKLY SUMMARY OF IMPORTANT BUSINESS NEWS IN UKRAINE, FOR 14 MAY, 2018. HEAD investing in project in Vinnytsia. One of the world’s leading sporting equipment companies HEAD International Holding GmbH signed a Memorandum of Understanding with the City of Vinnytsia and regional authorities to produce winter sporting equipment there. The multimillion investment project is expected to create a significant number of jobs over the course of the next 5 years. UkraineInvest Director Daniel Bilak welcomed the agreement as an important development for Ukraine, as it will not only create high value production and jobs, but also boost the country’s attraction for well-known global brands. AgroGeneration to invest EUR 10 million to expand grain storage. After significant losses in 2017, the Paris-listed firm is planning a project to expand its grain storage by 50 percent in Ukraine in order to be better able to respond to market volatility. AgroGeneration farms around 100,000 hectares in the country and is confident that the outlook for 2018 and beyond is promising. The Ukraine-based company has therefore begun talks with an undisclosed European partner, to fund the expansion project, Reuters reports. Ukrainian farmers exported almost 34 million tonnes of grain since July 2017, UNIAN reports. During the last marketing year, wheat exports totaled 15.1 million tonnes, barley 4.1 million tonnes, and maize 14.3 million tonnes, the press service of Ukraine’s Agrarian Policy and Food Ministry announced. Rye exports totaled 32,700 tonnes. 377,400 tonnes of flour were exported, including 376,000 tonnes of wheat flour and 1,400 tonnes of other types of flour. Ukraine harvested 61.3 million tonnes of grain and leguminous crops in 2017, which was 7.3% down from 2016, the State Statistics Service of Ukraine said. Ukraine, US discuss expansion of mutual access to markets. Ukrainian and US veterinary services have agreed to continue close cooperation and to address issues of mutual interest, Ukrinform reports. A delegation of the Veterinary Services of the United States Agriculture Department visited Ukraine for this purpose. Among the issues discussed were: technical adjustments to a number of veterinary certificates for the imports of certain types of goods into Ukraine, in particular pet food, feed additives, poultry, technical gelatin (not for food use), milk and dairy; and, consideration of the Ukrainian application for the export of domestic poultry, the accreditation of which has been ongoing the last two years. Addressing corruption in the land sector. Ukraine’s National Anti-Corruption Bureau (NABU) has drawn attention to the scale of corruption still continuing in the land sector. It is currently investigating 25 criminal cases concerning land plots, about a third of which have been forwarded to courts, the NABU says on its website. The scale of the alleged crime in these cases involving bribes to local officials in exchange for land exceeds UAH 450 million. According to the NABU, as reported by Ukrinform, the most common corruption scheme is for the local authorities to approve the allocation of land plots, which are then transferred to private developers in exchange for a commitment to allocate a certain number of apartments to employees of a respective state body. Often, the aggregate value of such apartments is significantly lower than the market value of the land. The National Bank (NBU) updating measures to prevent corruption. As part of its mandatory regular corruption risk assessment process, the NBU is preparing to update its system for preventing and counteracting corruption and ensuring compliance with the current relative legislation, the Bank reports. Sales of new commercial vehicles up by 25% in Q1 (y-o-y). Between January-April 2018, 4,060 vehicles were sold, 1,187 in April, the Ukrautoprom association has announced, according to Interfax-Ukraine. Sales were 20% higher in April than in March 2018. French companies had led the way. Citroen sold 223 vehicles in April (an 8.6-fold rise compared with April 2017 and 65% up on March 2018), while Renault sold 191 vehicles (12% more than in April 2017). Next come Ford (161 vehicles sold - 2.2 times more than in April 2017), Fiat (registering a 10% decline in sales year-over-year, to 97 vehicles), and Volkswagen (76 vehicles sold – up 65% up). Wizz Air to fly from Kyiv to Vienna, Berlin, and Frankfurt. Hungary’s low cost airline Wizz Air is expanding its flight network from Kyiv. New flights are scheduled for Berlin and Frankfurt from July, and to Vienna from October 2018. In June Wizz Air is renewing its flights from Kyiv to Lisbon and Tallinn, increasing the number of flights from Lviv to Berlin from 2 to 4 a week. Ukrainian International Airlines boosted net income by 27% in 2017. The country’s leading air carrier increased net income last year by UAH 4.273 billion, to UAH 22.103 billion, according to its annual report. Gross profit last year fell by 9.7%, to UAH 1.699 billion, while operating loss amounted to UAH 638.09 million against an operating profit of UAH 31.21 million a year earlier. The cost of fixed assets rose by 28.8%, to UAH 21.2 billion, in particular leased assets by 28.6%, to UAH 20.46 billion. UIA’s total liabilities at the end of last year amounted to UAH 954.4 million. Ukraine International Airlines (UIA) opens direct flights to India. On 1 May UIA launched direct flights from Kyiv to Delhi, the company’s press service has told Ukrinform. The new long-distance flights will be three times a week and increase from 7 June to four. The minimum cost of a one-way ticket from Kyiv to Delhi, including all taxes and fees, starts from UAH 6,890. Passenger traffic at Chernivtsi airport soars by almost 70%. The passenger traffic at the Chernivtsi airport grew by almost 70% in April 2018 compared to April 2017, the city council reports. In April, 5,593 people used its services as compared with 3,306 people a year ago. The increase has been noticeable as regards international flights (137 passengers in April 2017 against 1,519 passengers in April 2018). Fitch affirms Ukraine’s ratings at ‘B-’; outlook stable. Fitch has also affirmed Long-Term Foreign-Currency IDR at ‘B-’; Outlook Stable; Long-Term Local-Currency IDR at ‘B-’; Outlook Stable; Short-term foreign-currency IDR at ‘B’; and Short-term local-currency IDR at ‘B’. The Country Ceiling is affirmed at ‘B-’, Fitch Ratings said in a press release. “Ukraine’s ratings balance weak external liquidity, a high public debt burden and structural weaknesses, in terms of a weak banking sector, institutional constraints and geopolitical and political risks, against improved policy credibility and consistency, the sovereign’s near-term manageable debt repayment profile and a track record of bilateral and multilateral support,” Fitch ratings elaborated. Real wages rise. In March 2018 they increased by 9.5% compared to March 2017, the State Statistics Service reports. The average nominal wage of full-day workers in March 2018 amounted to UAH 8,382, whereas in January it was around UAH 7,711. The highest level of wages in March was recorded in Kyiv at UAH 13,388, the lowest in the Ternopil region at UAH 6,394. The average wage of a fulltime employee grew by 24.1% over the past year. Raiffeisen Bank Aval to pay UAH 4.2 billion of dividends in Ukraine. It’s net profit for the past year amounted to UAH 4.469 billion, of which UAH 700,000 will be used to pay dividends to the holders of preferential shares, and almost UAH 223.5 million to the reserve fund of the bank. The shareholders have decided to change the type of their joint-stock company to a private joint-stock company, the bank has announced. As of January 1, 2018 Raiffeisen Bank International owned 68.28% of the charter capital of the financial institution, the EBRD some 30%. Raiffeisen Bank Aval is ranked fifth among 84 operating banks in terms of assets (UAH 72.108 billion at the start of 2018), according to the National Bank of Ukraine. Apple Pay is to commence payment operations in Ukraine, Norway and Poland within the next several months, according to a statement made by Apple CEO Tim Cook. He did not provide any specific details. Strategy for Privatbank approved. The Supervisory Board of PJSC PrivatBank has approved the annual report and the strategy for the bank’s development until 2022. According to the report, the strategy “provides for a balanced development of the bank with a focus on the retail segment, the development of SMEs and an electoral corporate segment, as well as preparing the bank for sale to foreign investors.” The bank expects to become profitable as soon as in 2018 and to generate at least UAH 8 billion in profits from 2020. Foreign investors show more interest in Ukrainian assets. Ernst & Young’s latest Global Capital Confidence Barometer (CCB) reports greater interest of foreign investors in Ukraine, reflecting rising economic and corporate confidence. Consumer confidence recovering. In March it improved by 2.3 points after a negative trend in the first two months of 2018, GfK Ukraine reports. The Index of Expectations of the Country’s Economic Development concerning prospects for 2018 also grew, but fell as reads the longer 5-year outlook. Overall the, Index of Economic Expectations (ІЕE) increased by 1.8 points to 58.4 in March. Ukrzaliznytsia boosts profit by 20 times in Q1, 2018. It recorded UAH 271 million of net profit in January-March 2018, which is 20 times more than in the first quarter of 2017, acting chairman of the company Yevhen Kravtsov has announced, as reported by InterfaxUkraine. «For the first quarter of 2018, all the main financial and economic indicators of Ukrzaliznytsia were fulfilled and overfulfilled in accordance with the financial plan,” he said. Revenues grew by almost 20%, by UAH 2.5 billion. Capital investments were 20% overfulfilled, and were three times more than in the first quarter of 2017. Ukrzaliznytsia paid UAH 1 billion more taxes than for the same period of 2017. Ukraine, Israel technically initial FTA agreement. Ukraine and Israel have completed talks on the signing of a free trade area agreement and technically initialed it, Deputy Minister of Economic Development and Trade, Trade Representative of Ukraine Natalia Mykolska has announced. According to UNIAN, it foresees “the annulment of import duties for 80% of industrial goods from Ukraine to Israel and some agricultural products within quotas.” For its part, Ukraine “will open 70% of the industrial goods market for Israeli producers and also abolish duties on a number of agricultural products.” It will partially reduce tariffs for certain seasonal vegetables and fruits from Israel. Rolled steel production increases slightly, while steel output decreases correspondingly. In January-April 2018 rolled steel output increased by 1% year-over-year, to 6.072 million tonnes, but steel smelting fell by 1.4%, to 6.913 million tonnes. Cast iron output grew by 8.9%, to 6.885 million tonnes. In April 2018, Ukrainian metal companies produced 1.639 million tonnes of cast iron (98% of the previous month), 1.687 million tonnes of steep (99%) and 1.479 million tonnes of rolled steel (98%).“A slight reduction in production of the key types of products in April compared with the previous month is linked to repair works at some facilities,” the Ukrmetalurgprom association said, as reported by Interfax-Ukraine. Metallurgy accounted for almost a quarter of exports in Q1. Metallurgy accounted for 22.57% of Ukraine’s total exports during Q1, earning $3.488 billion from ferrous metal exports. This was an increase of 32.2% y-o-y, according to Ukraine’s State Fiscal Service. Metal ware export grew by 34%, to $351.4 million, accounting for 2.27% of the country’s total exports. But imports of ferrous metals increased by 32.3% to $385.3 million, while shipments of metal ware from abroad grew by 18.2%, to $267.8 million. In 2017 revenue from exports of ferrous metals rose by 19.6% to $8.7 billion, and earnings from metal ware exports by 30% up to $896.7 million, UNIAN reports. Ukraine increases electricity production. Electricity production in Ukraine’s power grid increased by 3.8% in January-March 2018 year-over-year, to 44.543 billion kWh, according to the Ekonomichna Pravda online newspaper. Electricity production by unconventional sources (wind power, solar plants, and biomass) grew by 29.5% in the first quarter of 2018, to 532.8 million kWh.